This free museum in Clifton Park, Rotherham is a little hidden gem. 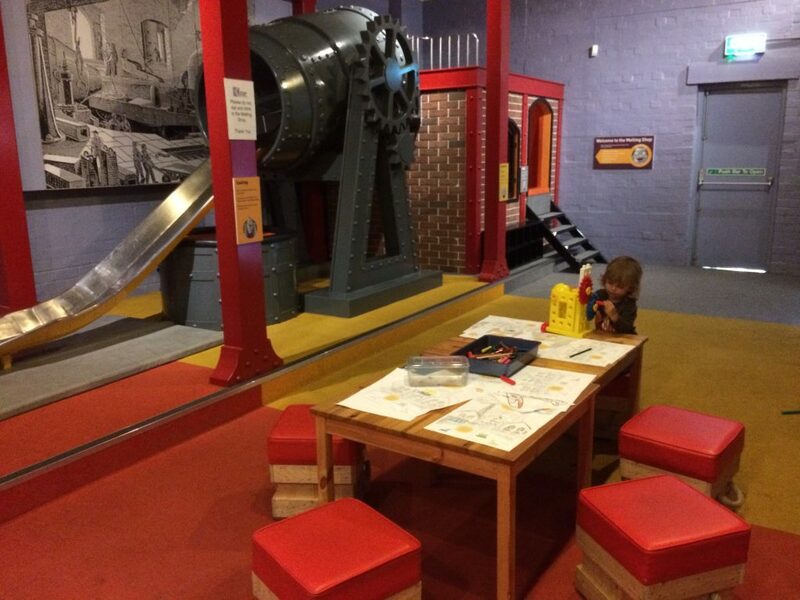 When you enter the museum, the room to the left is great for small kids – there’s a little colouring table, box of toys and educational/interactive games and things to do. Eric loved pressing all the animal sounds buttons and crawling through the cave. It’s a modern history museum and there’s lots to see throughout like animals, historical artefacts and vintage toy displays. 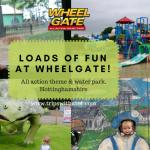 In warmer months, don’t forget the rest of the park & the amazing splash play! OK, not Yorkshire… can I cheat?! Hear me out! 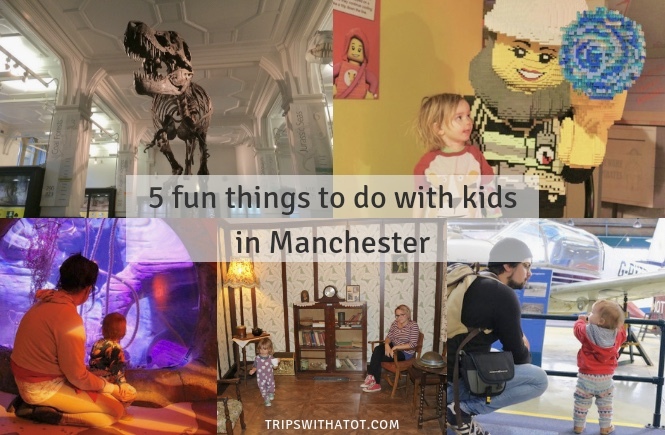 😀 We really like the museum in Manchester and it’s completely free to visit. It’s a full day out if you want it to be with so much to see. 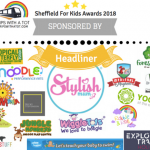 There’s lots for all ages, from toddlers through to teens and adults. We really like the Experiment! 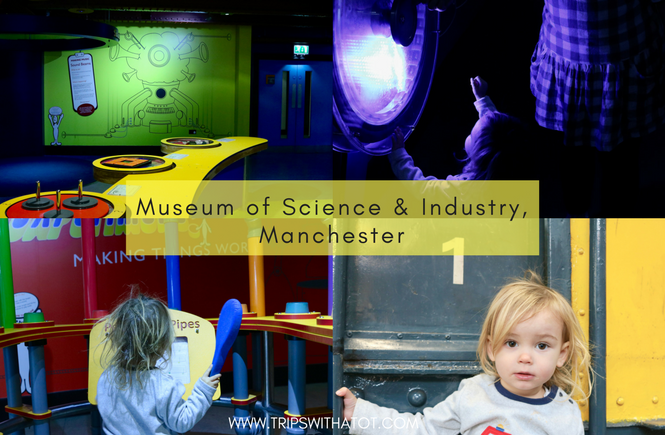 gallery with hands on sensory experiments and puzzles, and music and light science themed features. The art and space hall outside is full of cars, aeroplanes and helicopters; and don’t forget the great steam hall with hugeee working engines and old trains which was a big hit with our toddler! 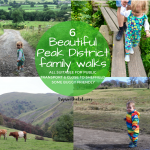 There are free family shows and workshops, sensory/explorer bags for children, cafe and bistro and a free shuttle from Manchester train station. One of our favourites; you can’t fault it! Read my recent review here. There are so many other museums in Manchester, too. We loved Manchester Museum. 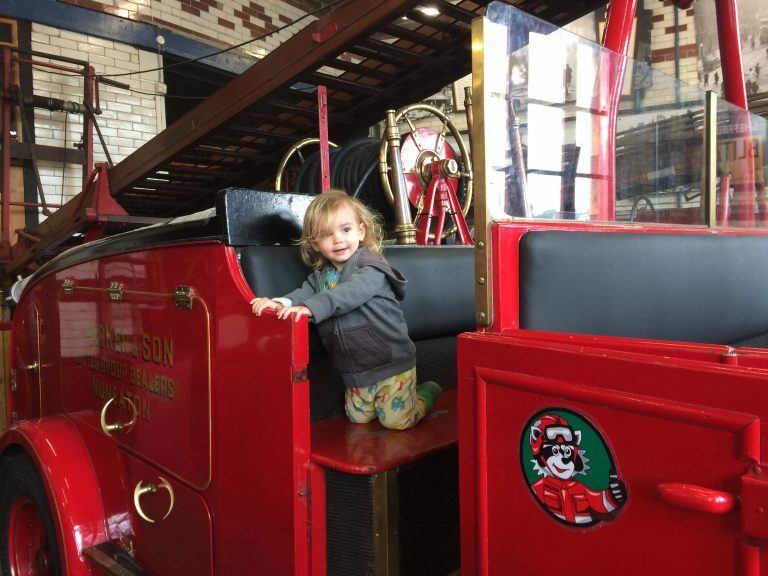 This museum in an old fire station has lots of vehicles you can sit on/go inside. It’s convenient location just a stones throw from the city centre make it a frequent museum we visit as it’s always something we fall back on if we need something to do. Eric absolutely loves the outside yard which is full of old vehicles, and some of them you are welcome to sit in and go inside, so fun! The police room behind the cafe has a riot van, police cars and bikes and is must visit if you have kids that love this sort of thing. 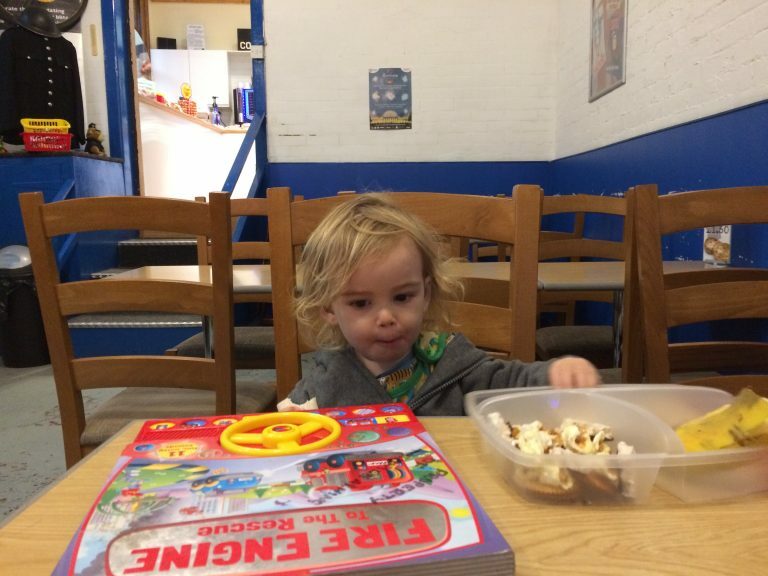 The cafe is basic but it’s very good for having your own picnic and ordering a hot drink… there’s a box of toys for kids to play with, TV with DVD screening and it’s very relaxed atmosphere. The museum has more to see that you’d think and is worth a visit for vehicle fanatics. 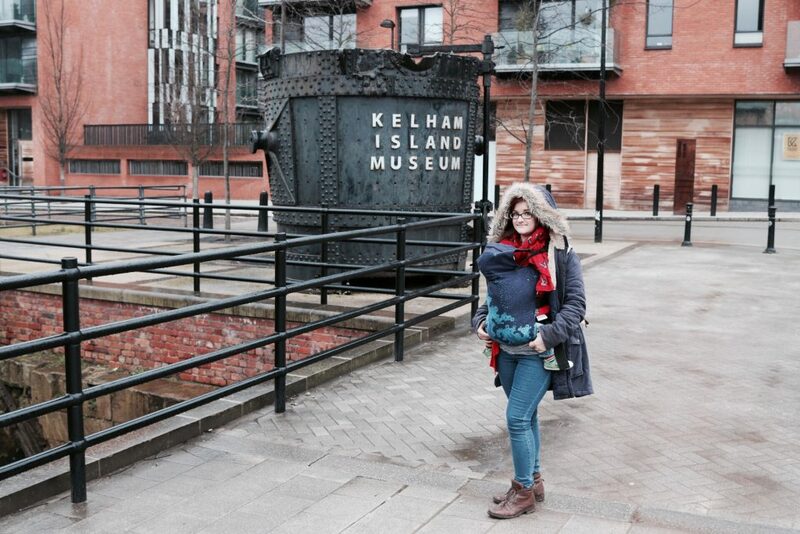 A big museum based on showcasing the industry and steelwork history of Sheffield. 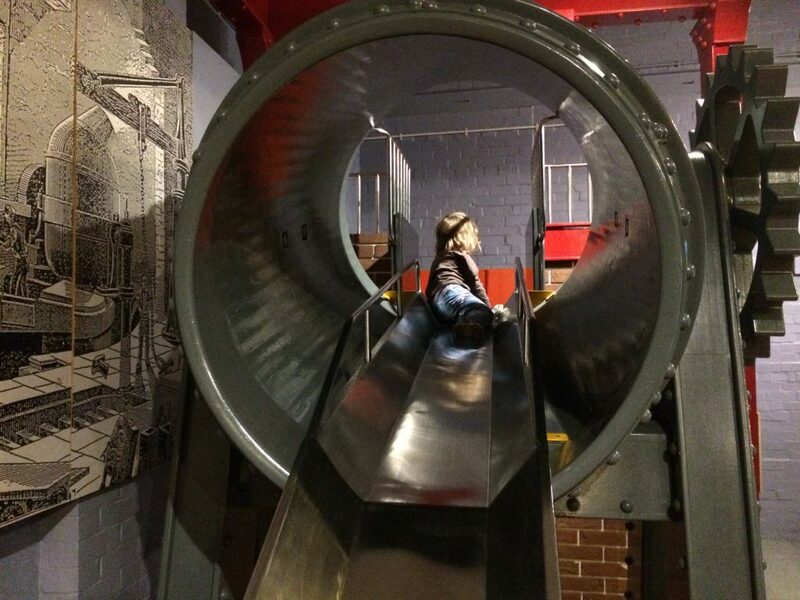 Though people may assume it’s best for older children and adults, there is still things to do that kids will enjoy… hands on exhibits, the river don engine in steam, interactive displays to touch/see and play with, and a fantastic indoor play area with a ball pit, slide, puzzles, games and building. The old industrial area in which the museum is in is really impressive, there are regular events going on, a cafe and picnic room. Read this post to learn how to make the most out of your visit. 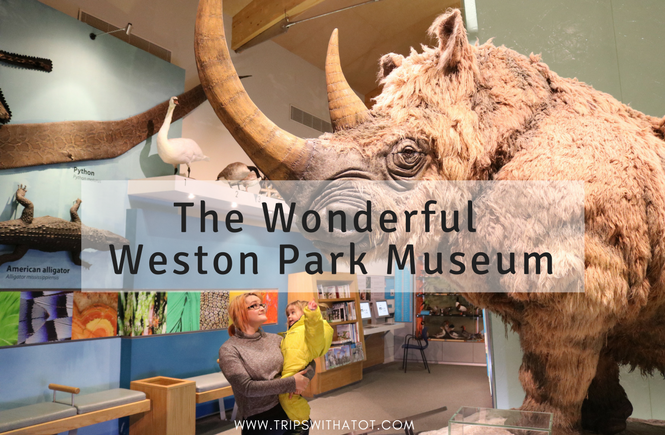 Weston Park Museum is just a stones throw away from the city centre and is the largest museum in Sheffield. 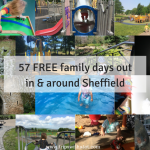 One of the best top free days out for kids in Sheffield, without a doubt. 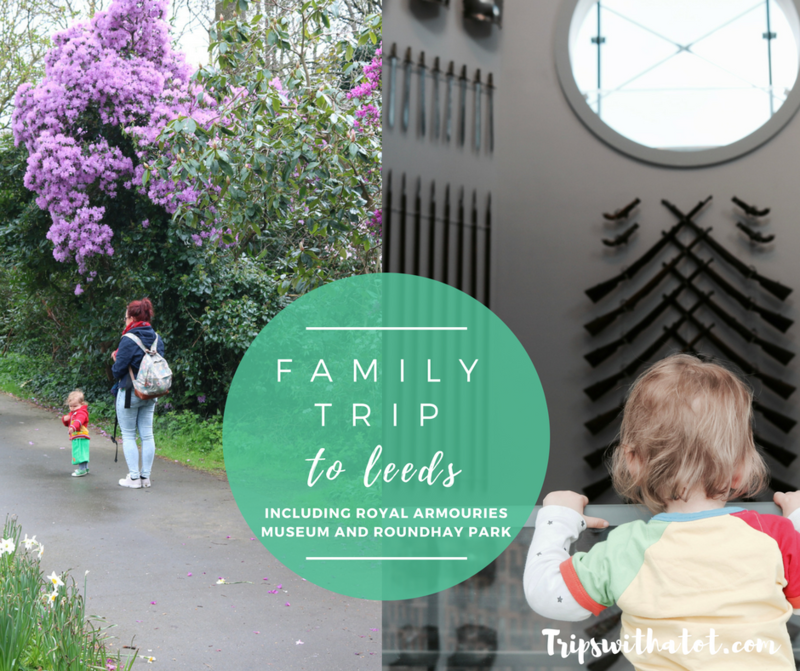 Home to exhibitions that allow visits to discover the real Sheffield history, and regular family activities, Weston park museum is a fantastic place for little ones. For kids you’ll be able to find cabinets to open, bugs to see, drawers to look inside, books, animals, and hands on galleries with little play areas. The museum is completely free to visit and there is a cafe, picnic room and park which makes it a lovely day out. Fantastic Friday under 5 free activities in term time. Make sure you explore the park, too, and get this free trail. This local history museum is free to visit and we were very impressed when we went for the first time. Experience Barnsley tells the incredible story of Barnsley with century old artefacts. 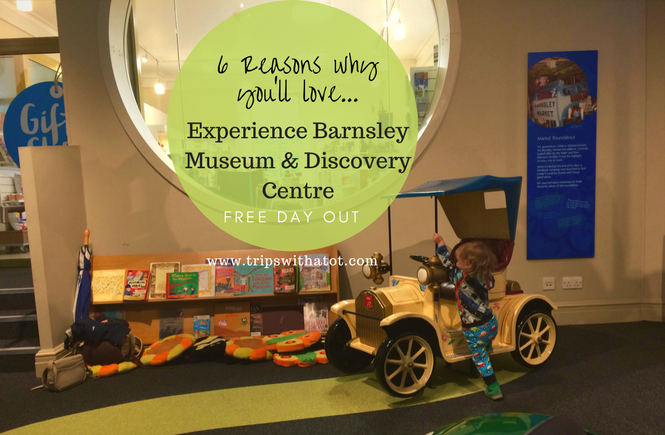 The museum is in a large building with a cafe which makes it a great spot to spend a few hours and right in the town centre of Barnsley. 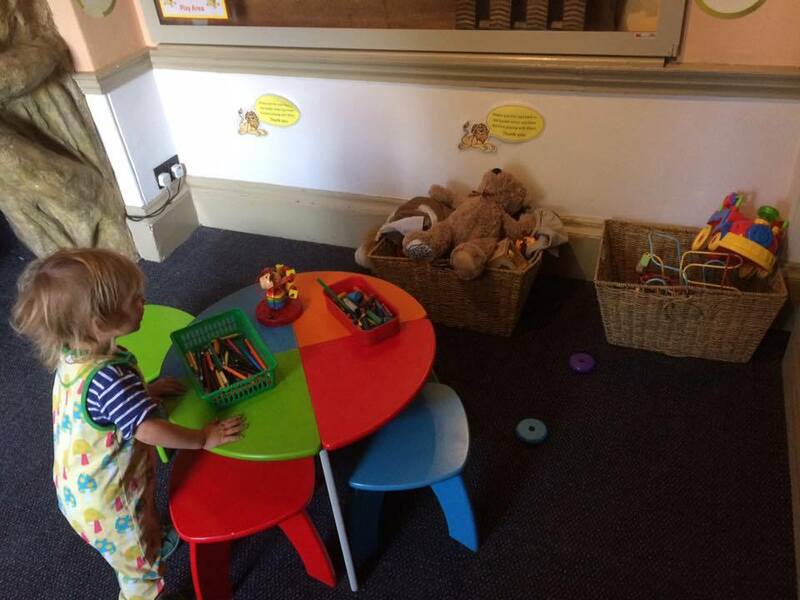 Throughout the museum there are things to play with, interactive exhibitions, colouring tables, reading corner, dress up and vintage cars to pretend to drive in. We had a lovely time and keep going back. If you love vintage vehicles, and specifically buses, then you will really love this museum! 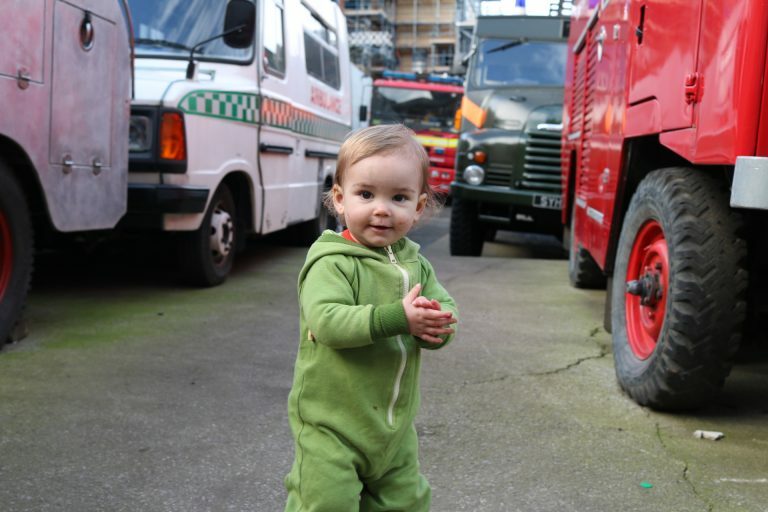 Whilst it’s not specifically for children and it’s very much a museum for enthusiasts, it’s a lovely place if you have a child who is interested in seeing transport vehicles. The museum is not open all the time and to visit you’ll have to catch one of the special opening days, which does making a visit seem that little bit special. 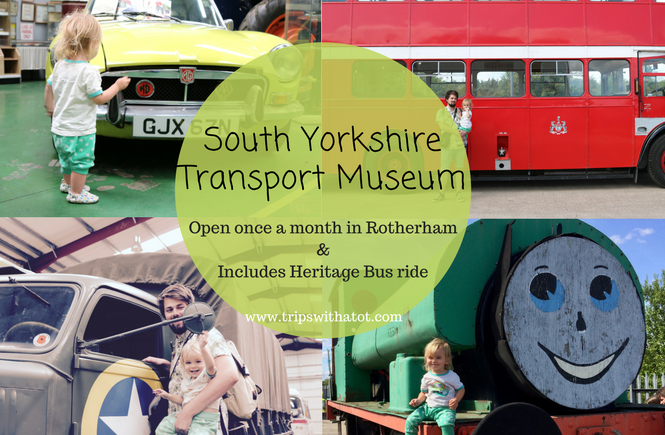 On the opening days visitors have free reign to explore inside the museum and there are old south Yorkshire buses to see, touch and some of them you can get inside, cars, trucks, bikes and more. Don’t miss a heritage bus ride from the Rotherham bus interchange for no cost. They often have themed open days, such as Steam Punk vehicles. Check our pictures here to see inside. 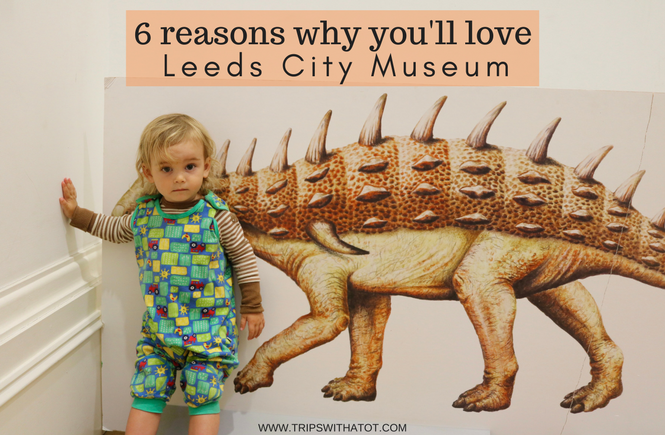 When we go to Leeds, it’s pretty much a given that we are going to be visiting Leeds City Museum! 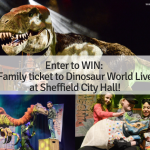 The location is so convenient to pop in for a play to have a break from shopping or seeing Leeds, it’s free so won’t cost you anything, there’s loads to play with and fun, hands on exhibitions for kids. 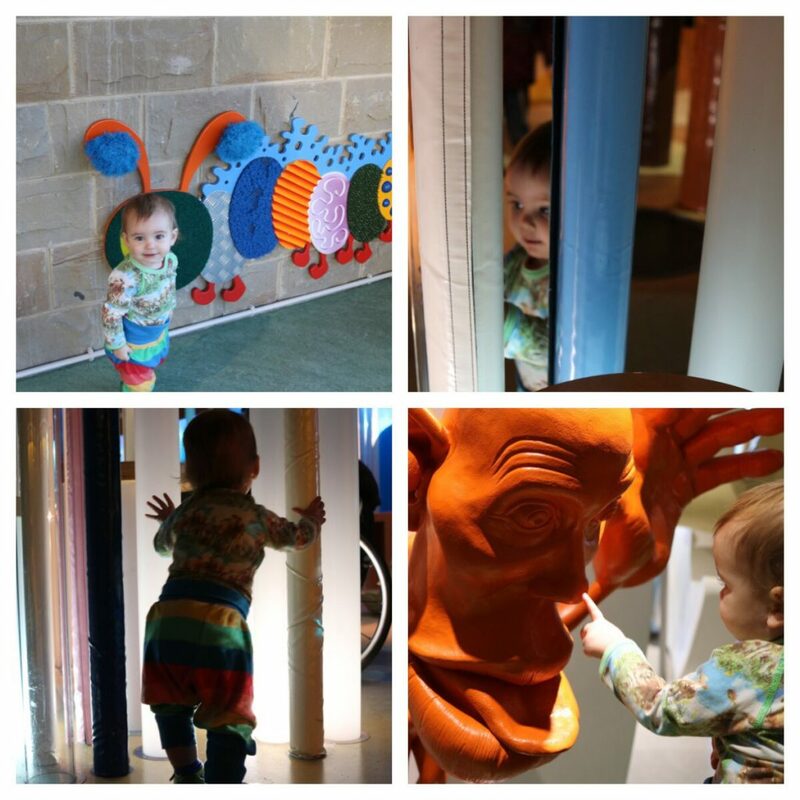 Eric loves the play area in Leeds story gallery (level 2) and the animals in the Life On Earth gallery (lower ground). It’s just a fantastic little museum for kids. 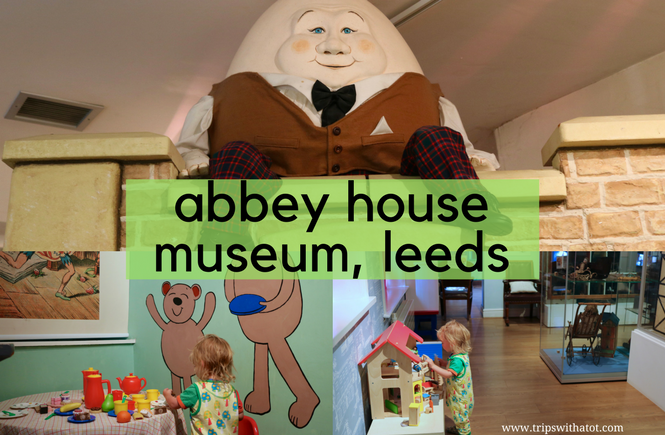 One of the most lovely museums for toddlers, Abbey House Museum is a hidden gem in Leeds. 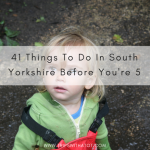 It’s only a quick bus journey from the city centre, under 5’s are free and there are so many gorgeous toys and interactive corners to see and discover. We really loved the decor, the layout and children’s storybook themed galleries; it was like stepping back into my own childhood. I think it’s good value for money, don’t forget to explore the victorian streets, too and there’s a cafe. 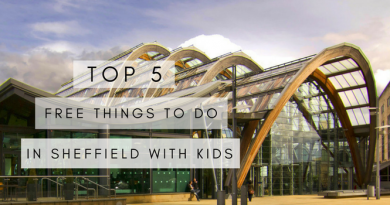 You’ll find picnic spaces outside in the gardens, Kirkstall Abbey ruins across the road and a playground next to the museum. So lovely! If you haven’t heard of Eureka!, I would be very surprised! And if you haven’t taken your kids yet, you must! Eureka! is the national children’s museum and toddlers will have a whale of a time exploring, playing, interacting and learning. Eureka! boasts that it is not like other museums and it’s “unique, interesting and FUN!”. I agree with that. So much, if not ALL, of eureka is hands-on, attractive for little hands and eyes, there’s something for all ages and so much to play with. 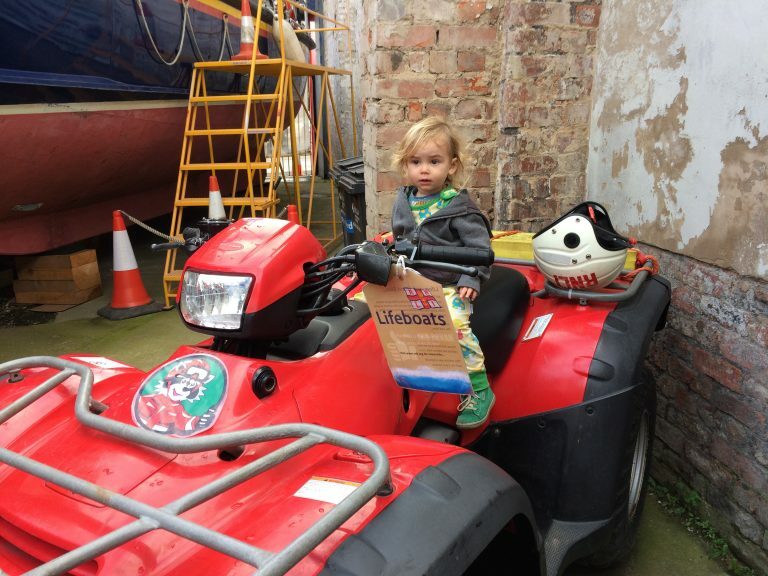 We really loved it, and it’s not just for kids, it’s fun for adults too… trust me! Here’s a bonus, too: if you upgrade your admission (for no extra cost) to an annual pass you can return for free for 12 months. Yay! A very good free museum with loads to do for all ages, from toddlers through to adults, and this one is great for teenagers and students, too. We have already been back few times since our first visit last year and you really can’t go wrong as this museum costs absolutely nothing to get in. 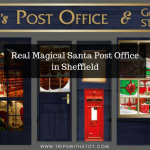 It’s in Bradford city centre, easy to get to, and it’s big! There’s 8 floors and an IMAX cinema. You can easily spend a whole day there. 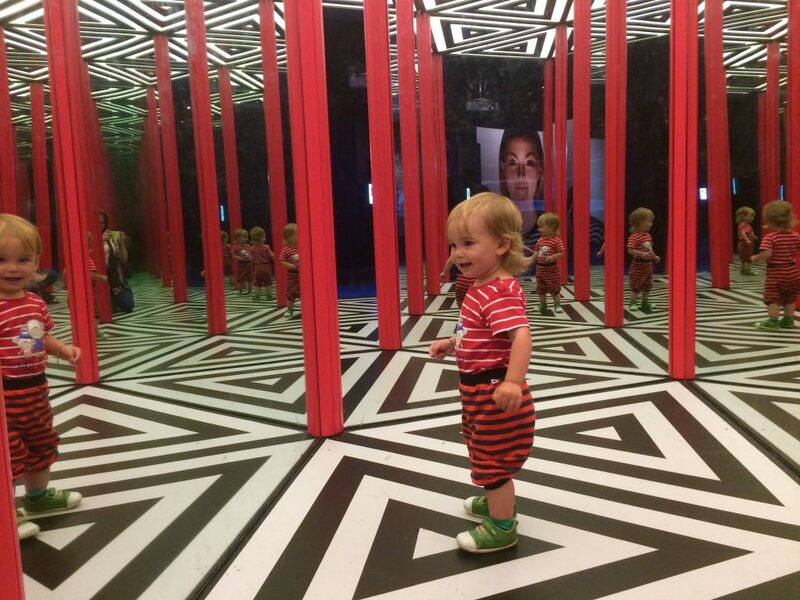 For toddlers, I recommend the Wonderlab gallery with science and sensory experiments, Eric loved playing with the UV lights and Mirror Maze especially, and the games lounge. 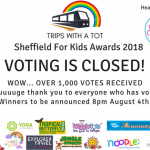 Unfortunately the magic factory gallery has closed now and been replaced with a new activity and picnic area, but check their what’s on there’s loads of free activities, family shows and things for children! We went twice in the space of one month in November, so that must say something! 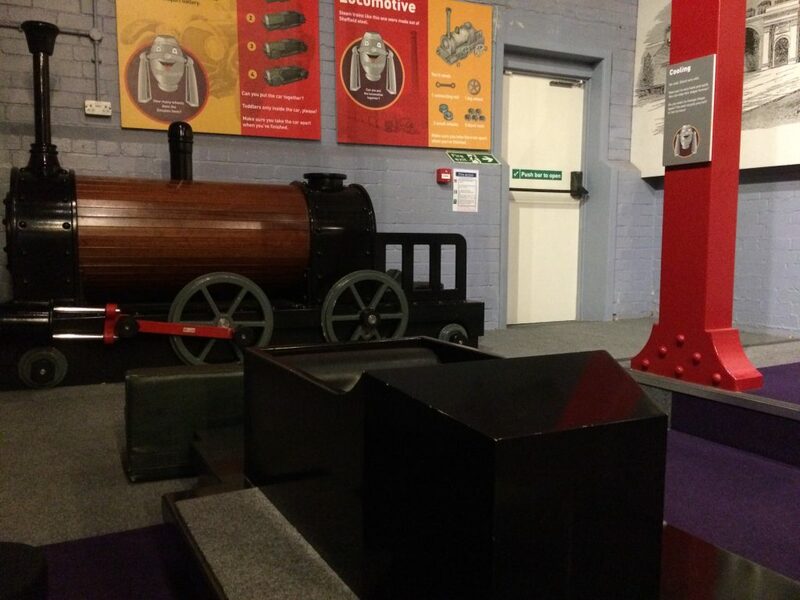 The National Railway Museum in York is completely free to visit and fantastic for a day out with all ages. 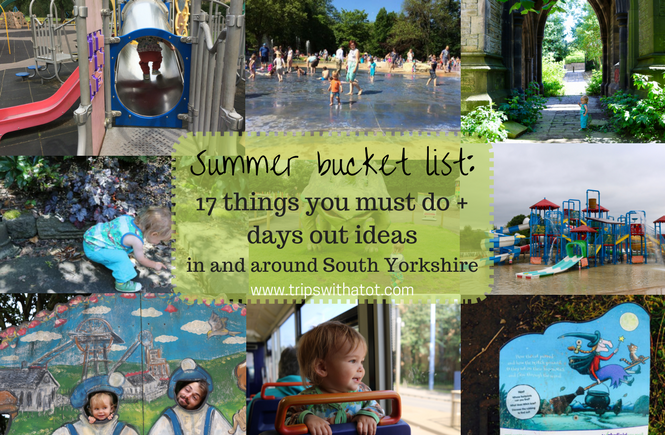 It’s just next to York train station so very convenient to get to and there’s more than enough to keep you busy. We love looking at all of the trains, Eric likes having pictures with them, and he loves the little play areas. 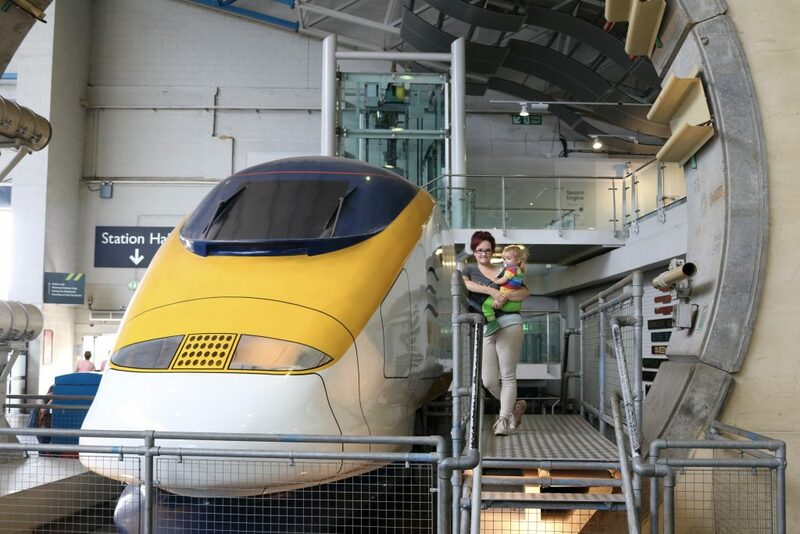 The museum has so much to look at and you’ll be able to explore The Great Hall, Station Hall, Workshop and Warehouse, have a miniature train ride and enjoy food and drink. Read about our recent visit here. 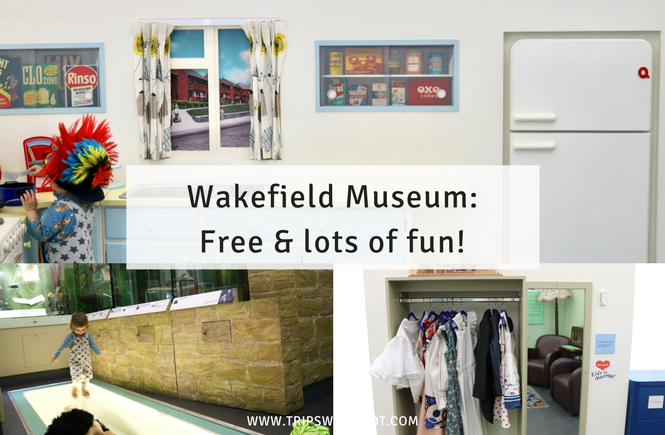 Wakefield Museum is in a huge building and has a library above and cafe opposite the museum. It’s small but is full and has loads of stuff to play with. Our highlights were a crocodile under the floor, big wooden play kitchen, victorian dress up & props, wigs and train set. I was very impressed on our first visit & if you do go, make sure you have time to visit The Hepworth Gallery, too! 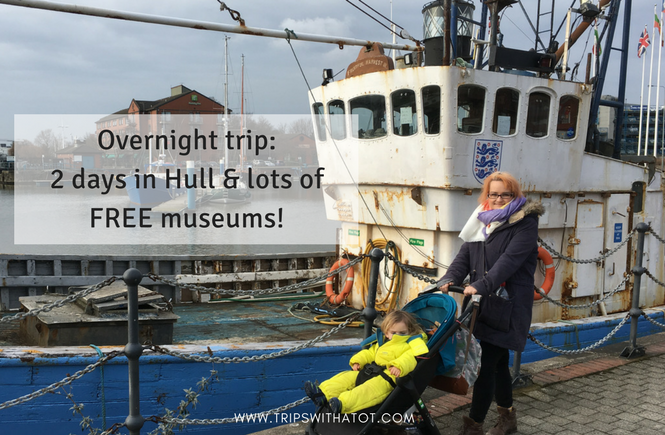 I had no idea what to expect when we went to Hull for the first time earlier this year, but was really impressed… LOTS to do and as museum buffs, we really loved the museum quarter. The best thing? All the museums are FREE! We didn’t fit them all in, not even in two days. 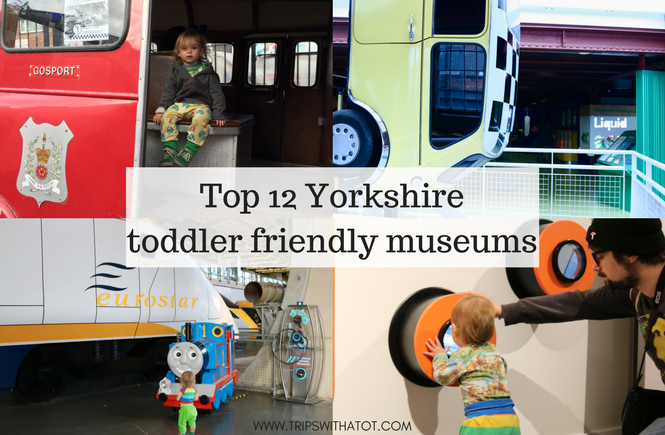 My favourites were the street life museum and Hull & East Riding museum. Highly recommend this trip. Which one is your favourite of all? And how many have you been to? 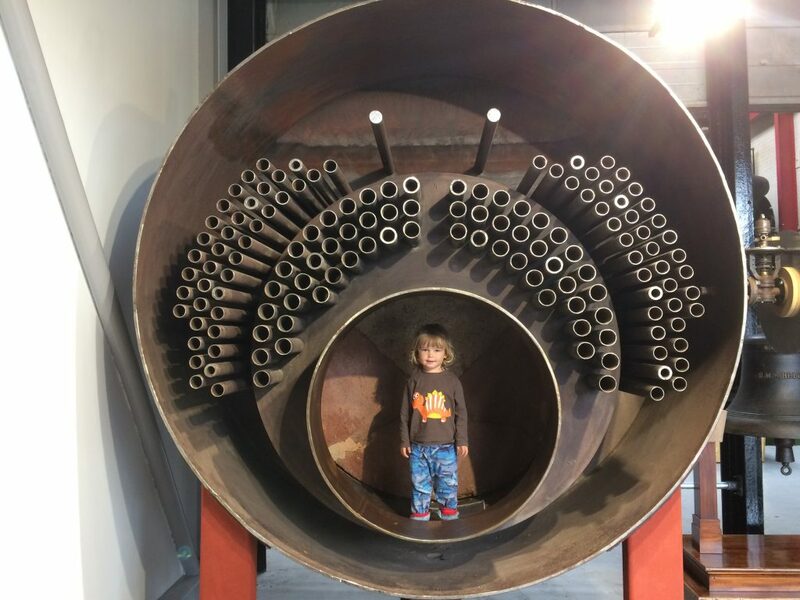 I hope this post is useful for you to find a lovely day out at a fun museum. For more indoor days out, please take your pick from these recommendations! Regardless of whether you’re an admirer of artistic work or you cherish expressions and artworks, these museums are without a doubt amazing and entrancing. I am obliged for this list. It will attract many art lovers to visit these museums.